Can this lock be used on a composite door. This lock is best suited to a wooden door. What is the diameter of the cylinder. 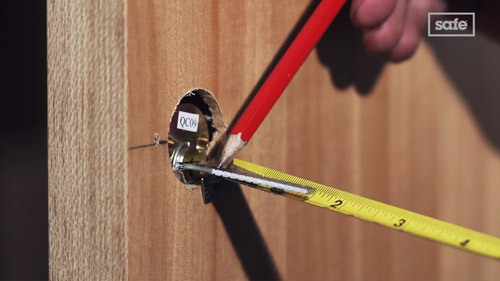 What diameter will the hole in the door have to be? The diameter of the cylinder is 32mm therefore the diameter of installation hole would need to be 32mm also. Can it be used as a shed door lock? Although it isn't the conventional usage, the Yale 77 Nightlatch can be used on a shed door if the thickness is between 32mm - 57mm.